These are just some of the ways we’re taught to address feeding, nutrition, ‘gut health’, and weight gain in the NICU. This information is vital to safe and effective feeding. So it’s not a stretch to understand why you, as a NICU professional, think about feeding with a medical model “mentality.” You were raised that way. The language, skills, measurements, and calculations are all part of providing objective data upon which to base clinical care. And for the most part, this works out well. You provide nourishment, slowly increase volume and/or calories and closely monitor your patients for improvements in growth and nutrition. There’s just one problem: there are more variables involved once an infant begins to orally feed. Feeding is no longer a passive interaction on the infant’s part. He actually gets to participate – and this changes everything. That’s when a medical model “mentality” fails us. 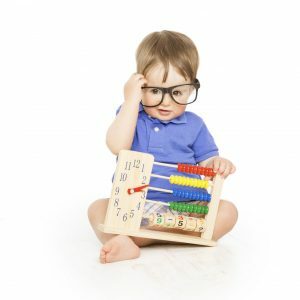 The infant’s feeding progress suddenly looks less like a math problem and more like a series of mini developmental milestones no one ever taught us about – milestones that occur during a critical period of brain development. Talk about, report, focus on, and educate about feeding as if volume intake is the only factor in feeding success. Address feeding based on PMA rather than understanding that developmental skill acquisition is an individual journey. The mistake that results is that oral feeding often remains physically, socially and psychologically sterile for staff and parents. The mistake believes that volume is the only measure of a successful feeding. The risk with this mentality is it removes you from the nurturing experience that oral feeding truly is, and leaves the infant less attentively supported in what may arguably be one of his most vital developmental stages. It may also perpetuate staffing practices that don’t allow bedside caregivers to assess, respond and optimally support infants during this transition. If you’re reading this, you’ve probably been working to change this very mentality in your own NICU or maybe even at the national level. We’re with you. It’s time.